Amazingly good price, fast and efficient, beautiful work! I had several windows replaced with impact glass, and a pass through removed as the wood was rotting. 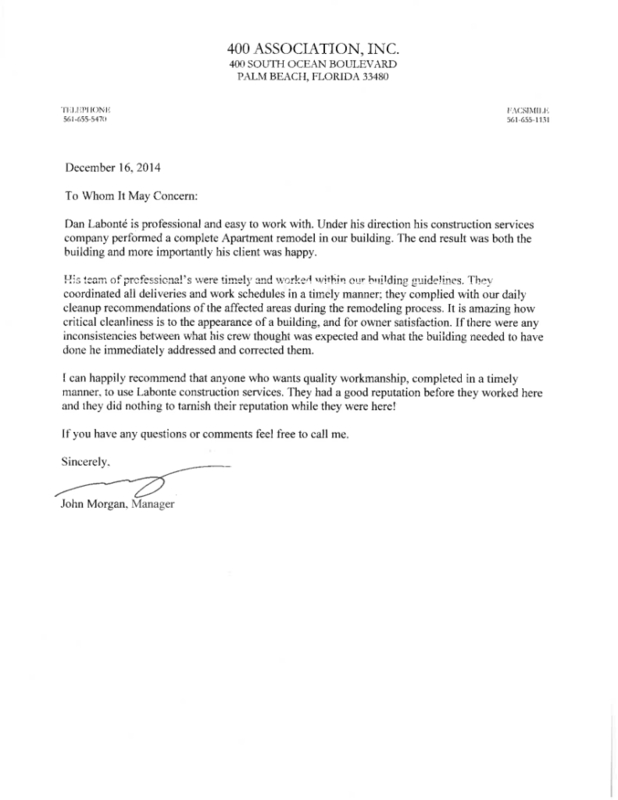 Labonte Construction was a pleasure to work with. He arrive when he said, and began working immediately. 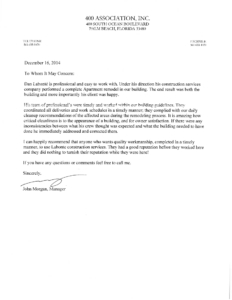 He conducted himself in a very professional manner and did a wonderful job. He kept the areas he worked in extremely clean. My son was 2 years old at the time, and he was very courteous about that. He did his best to get things done, so he would not have heavy noises during his nap time. I would highly recommend him. 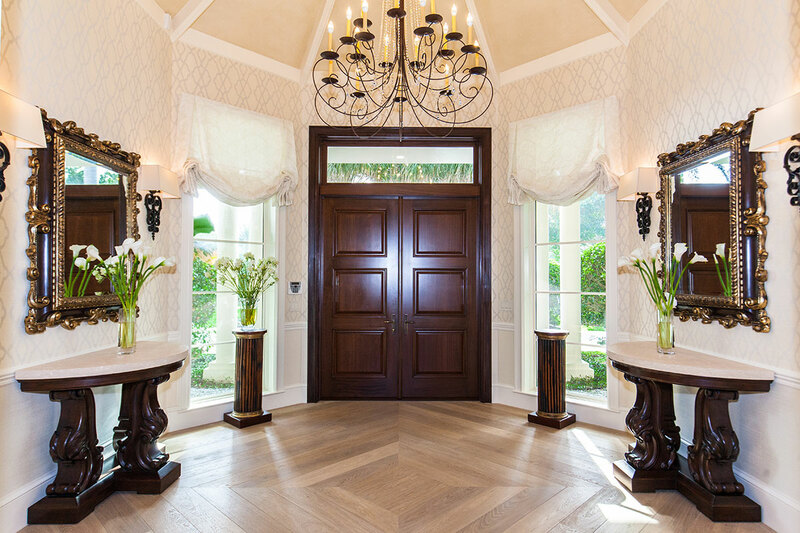 I am am Interior Designer here in Palm Beach, so I deal with a lot of different contractors and Dan is the best of the best of the high end contractors I work with. He is organized, honest and efficient. He has a wide breadth of knowledge about styles, techniques and materials. He is very good at staying on budget and on time. He has great relationships with local vendors and builders. His attitude is positive and calm. He is the contractor I use for my own house. I highly recommend him. 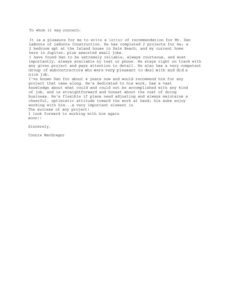 It has been a pleasure to work with Dan over the past 10 years, and I look forward to the opportunity. From quality small projects to estate luxury residential and commercial, he has performed with great competence and honesty. His responsible and polite mannerism has earned him multiple projects from the same clientele. Dan communicates well with the client, architect, interior designer, engineers, etc. and hires responsible trades with the same expectations. Dan Labonte did our fabulous Brown Harris Stevens office in El CID in West Palm Beach. 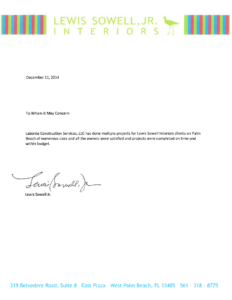 Everything was done beautifully and on time with no cost overruns and honestly no headaches. Everyone loves the office. 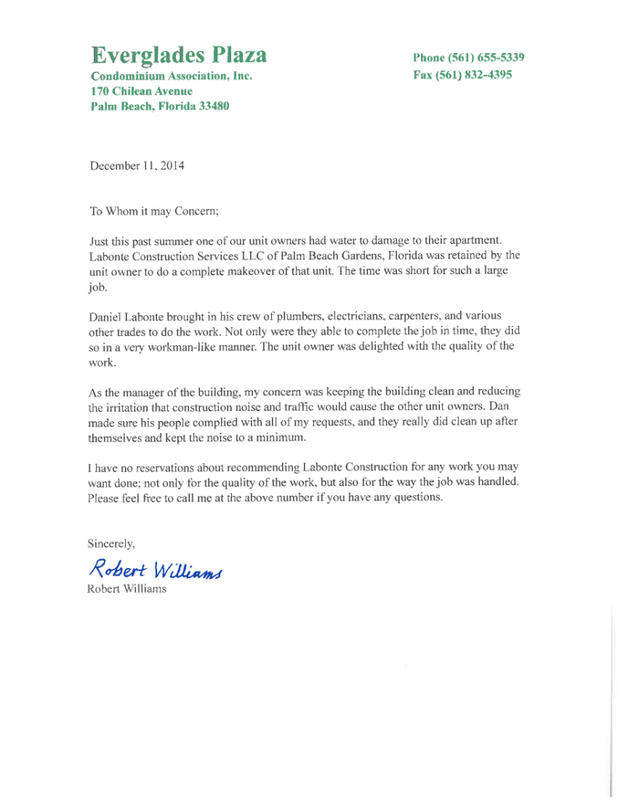 I'd highly recommend Dan/Labonte Construction. 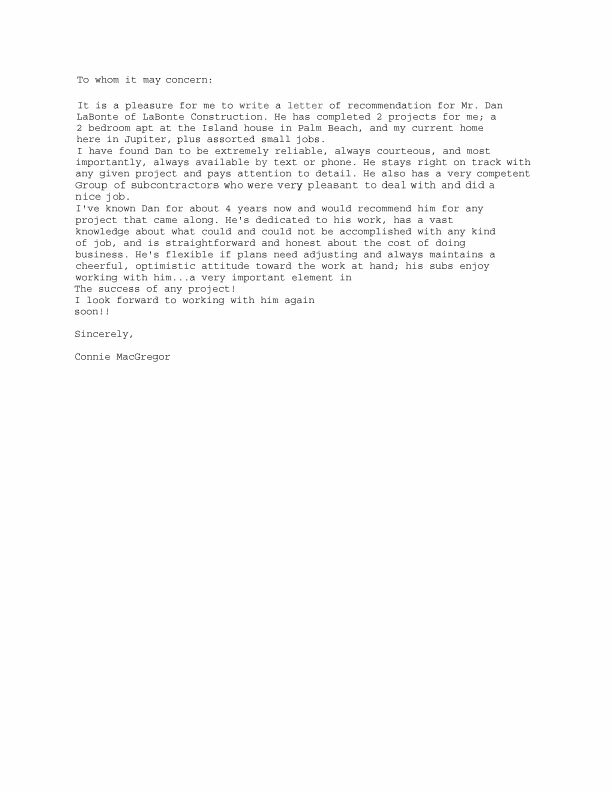 Dan, We can't thank you enough for all of your quality work on 214 Sunset. We are thrilled! 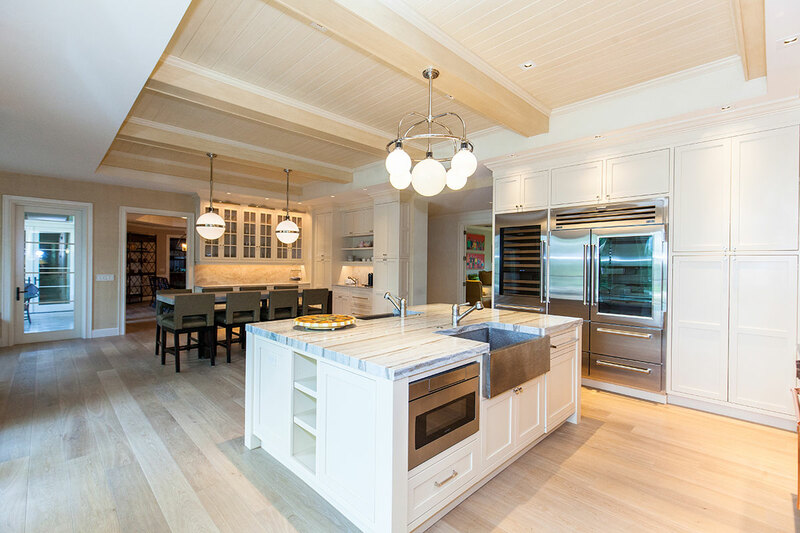 I am an Interior Designer, my firm is located in Marblehead, Massachusetts. I just finished a total renovation with Dan at Lost Tree Village. We acted as architect, designer and contractor for this project. Dan was a 10 in all areas. The ease of working with him and his calm manner made this project a pleasure and something we are both extremely proud of. The quality of his work and his knowledge of how to get things done is first rate. He never says no or we can't he just gets the job done. I would recommend him without hesitation for any project large or small. 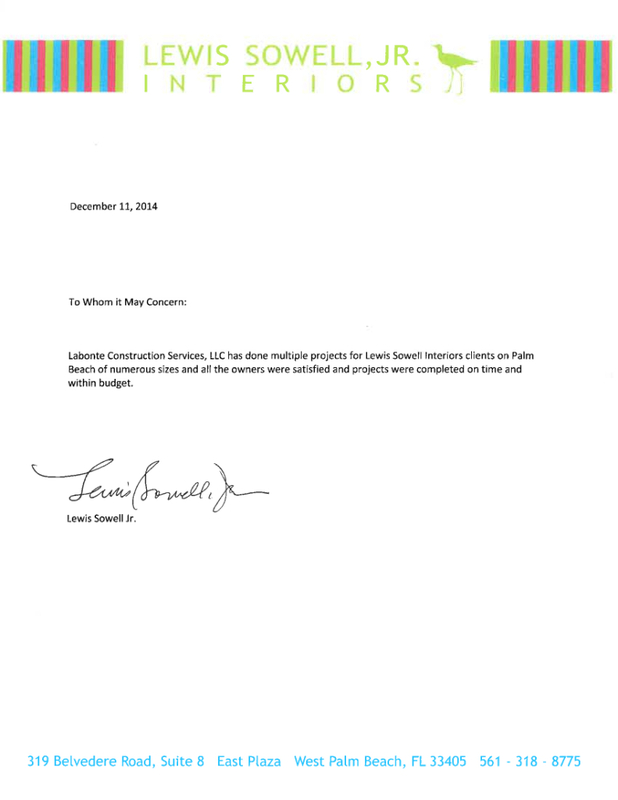 At Labonte Construction Services we only use subcontractors who have a proven track record, knowledgable staff, and the ability to successfully implement value engineering strategies on each project. This allows for competitive pricing compared to larger contracting companies. 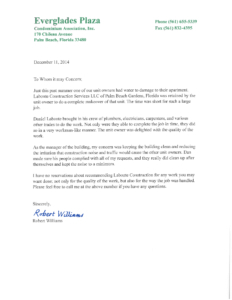 Because we are a local General Contractor who only focuses in Palm Beach County we can provide a competitive edge over our competition. We have low overhead and operating expenses which translates into a cost savings directly to our clients.